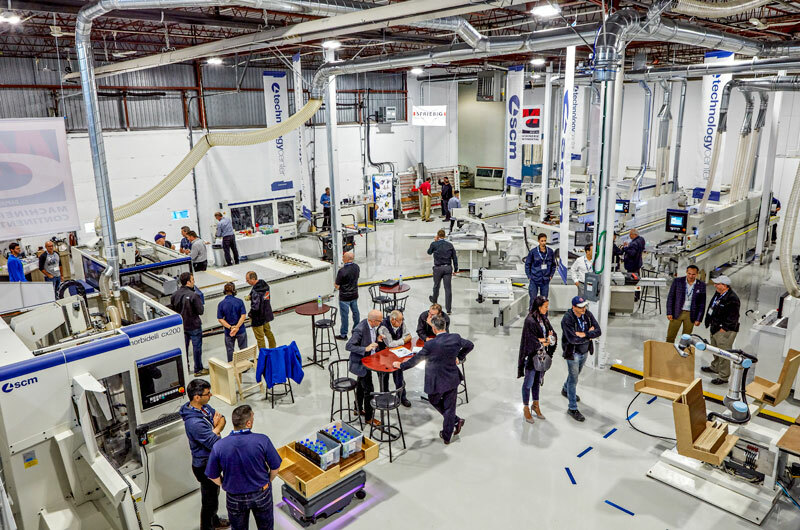 SCM Group Canada and Machinerie Continental Inc. open new showroom and technology centre. 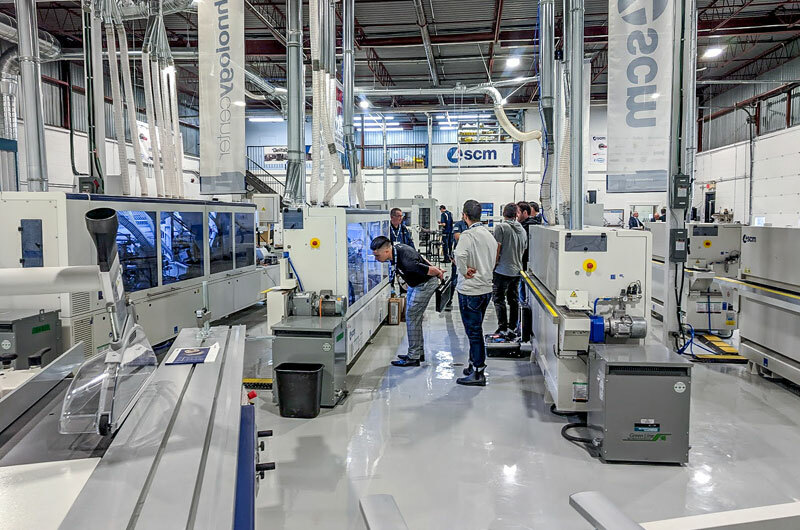 SCM Group Canada and Machinerie Continental Inc. have teamed up to better serve the thriving Quebec market via a partnership that saw them open a newly-renovated, 18,000 sq. ft. facility - including an 8,000 sq. ft. showroom and technology centre - at 74 Humus Blvd., in Pointe-Claire. “We had a great grand opening event in Quebec,” says Richard Bluteau, president of SCM Group Canada. “We had about 60 customers come out for the event held Oct. 3-6, and it was an excellent experience for us and our customers to see the new facility and take advantage of all that it has to offer. 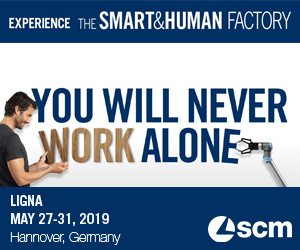 The event also offered a chance to network with industry experts and SCM’s latest technology, including a CNC horizontal drilling and doweling machine integrated with a universal collaborative robot. Bluteau called the new partnership a great way for both companies to enhance their presence in the important Quebec market and an important step for SCM to showcase its wares in the new technology centre and hold future SCM Days events there as well as specialized events for customers on a number of topics. “We have been an SCM dealer for several years,” says Michel Groleau, “and they have a very good reputation for producing great, quality machines. “We have had some very successful years selling SCM machinery and it was time to grow. That’s when we decided last year to strengthen our partnership and expand the facility. “We wanted to do something nice, because if it’s worth doing you want it to be nice. We started looking around and then realized we could buy the building we were in and completely renovated it,” Groleau says. “We started last fall and this was the grand opening and it was incredible. The response we got from people was fantastic and we are looking forward to serving our customers even better and continue to grow the company with excellent products and great service to our customers. “It is a great partnership for both companies,” Groleau says. 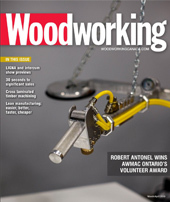 Groleau’s grandfather started the company in 1941 and they have been selling both new and used woodworking machinery to manufacturing companies ever since. Continental Machinery offers a complete line of equipments reflecting the latest technologies, allowing its customers the possibility of becoming more profitable by saving both time and money.